Agricultural Reform Day (Dia da Reforma Agrária) is one of the public holidays in São Tomé and Príncipe. It is celebrated on September 30. The holiday commemorates the nationalization of the largest plantations that took place in 1975. São Tomé and Príncipe is a small island country located off the western coast of the Central Africa. It used to be a Portuguese colony. Since the beginning of the colonial era, the economy of the island has been based on agriculture. About 90% percent of the cultivated area was occupied by Portuguese-owned plantations, but everything changed after independence. 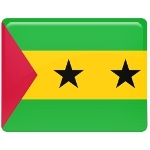 The independence of São Tomé and Príncipe from Portugal was declared in July 1975. Shortly after, control of the plantations previously owned by the Portuguese passed to state-owned agricultural enterprises. The nationalization of the plantations helped develop the economy of the newly independent state. Cocoa is the dominant crop on the islands. It represents about 95% of exports. Other important crops for export include coffee, palm kernels, and copra. Primary food crops include bananas, beans, breadfruit, maize, papaya, palm oil, and taro. Sadly, domestic food-crop production does not meet local consumption.